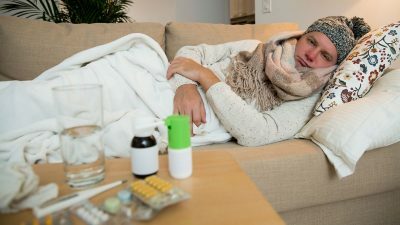 Man Flu - is it real? This discussion explores this common illness. For a while now, the expression ‘man flu’ has been controversial. Many men say their illness is real, while many women say they are just being weak. But why is it that some men seem to suffer, or complain, more when they get sick than women? A recently published study may have the answer. Can science prove that men really do suffer more, or do they just moan instead of getting on with it? Dan and Neil teach six items of vocabulary and discuss the issue. In a survey conducted by Nuts magazine that asked its readers how long they took to recover from a cold or flu, where women put an average of 1.5 days, what did men put? Do you have flu symptoms? let your Teacher at Skype Class help you with further vocabulary.